"I think we should do this more often.remarks my wife, I think I should alot a particular amount of my monthly pay on my skin care, obvious na ang mga signs of ageing" I nodded and nodded and nodded.It's true.Especially with a series of travels in the last few months, increased exposure to the sun, stress at work, plus the slowdown in regeneration process normal to ageing, kailangan talaga. This realization came as a result of our facial treatment--- at Diana Stalder Face and Body Clinic at Edsa Central Mall in Mandaluyong. 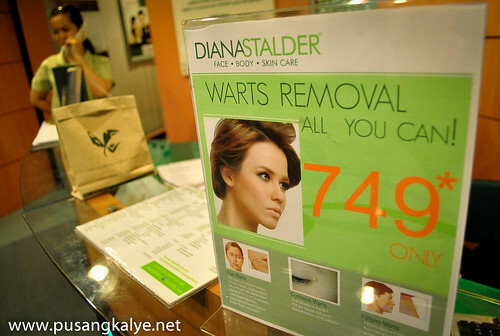 What's good about Diana Stader Clinics is that the therapists would give their assessment of you skin conditions and suggest the treatment that best suit you.Since I have a lot of black pimple marks,my therapist suggested that I avial of Diamond Peel to erase the dark spots and even discoloration in my face.I also thought I needed one. My wife also availed of the same treatment. 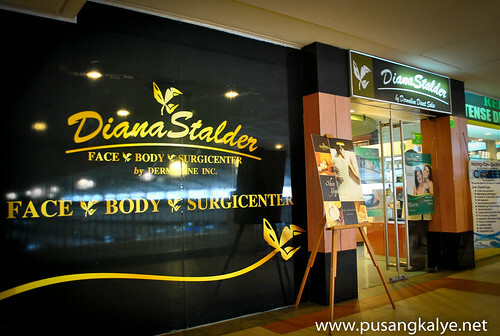 Unlike other skin clinics, treatments at Diana Stalder starts with a thorough cleaning of the face. In other clinics,they ask you to wash your face with soap and water.Here, the cleaning doesn't require washing your face.They do everything for you trough an intricate system of application of different chemicals. (not water).Washing with soap and water could get a little messy plus given the busy schedule that we have these days,lagi kang pagod,and washing makes you feel somewhat violated thinking that you are washing your face in that state. Here,the cleaning process itself is where the treatment starts. 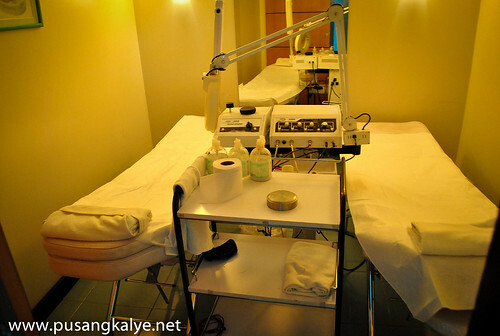 This is also one of the major distinctions at Diana Stalder Clinics.The rooms are good for two people.Sounds like a couples room to me.That's good because other people value privacy when having their treatments.The goes with me too.Certainly,Filipinos are still a little conservative when it comes to skin treatment.I remember years ago,I had serious problem with acne but it took a lot of personal motivation to finally face and problem and consult a dermatologist.It's not so much about the price,500pesos or so is a small price to pay for a fair and beautiful skin/face.It's more about the hiya factor. 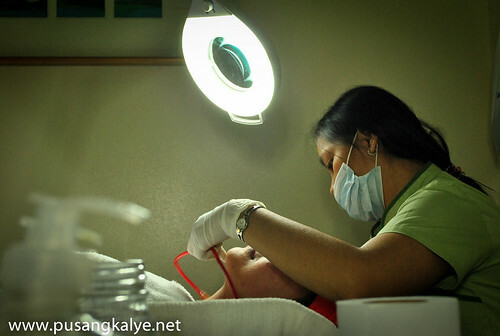 Another misconception I guess is that Diana Stalder services are expensive.Actually not.They are at par with the industry rate.Actually, 1,000php for a single Diamond Peel session is reasonable. 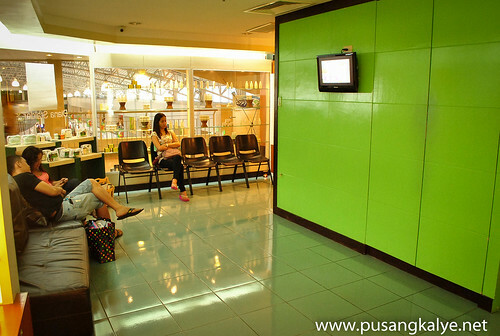 And since my wife already said that we should do this at least once a month and include it in our budget,i think I will be going back to Diana Stalder Edsa GREENFIELD DISTRICT Pavilion more often. I hope they open a branch closer to Binangonan Rizal soon!!! 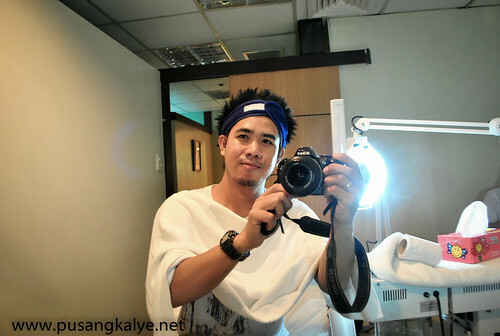 Thanks Diana Stalder for the treat!!!! kw kc pagmu uka mo palang halatang wala ng pambayad! muka kang tae!